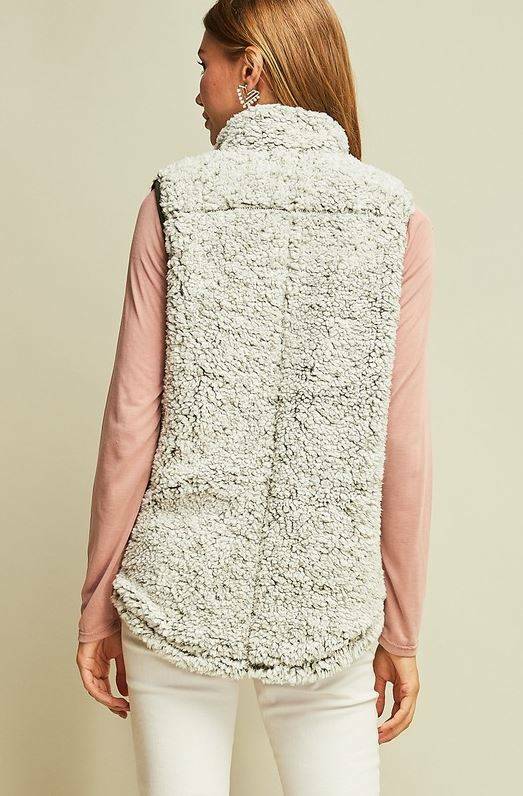 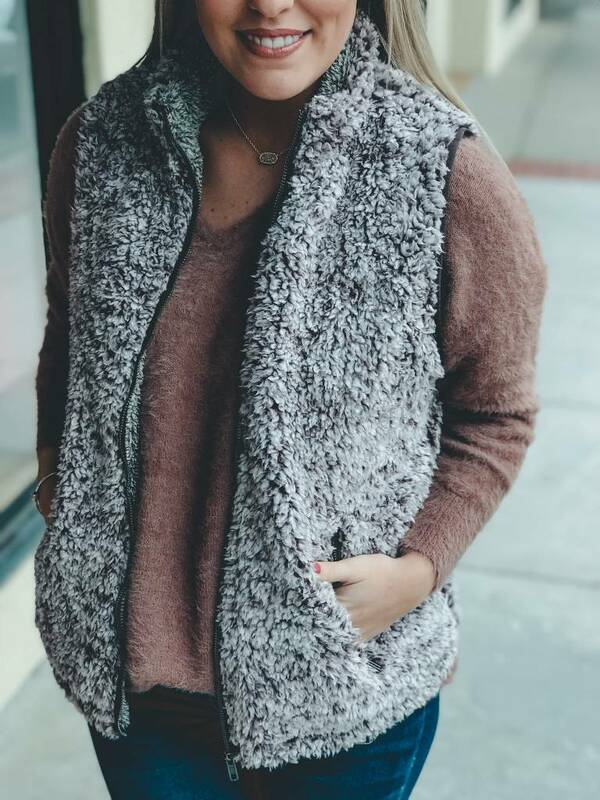 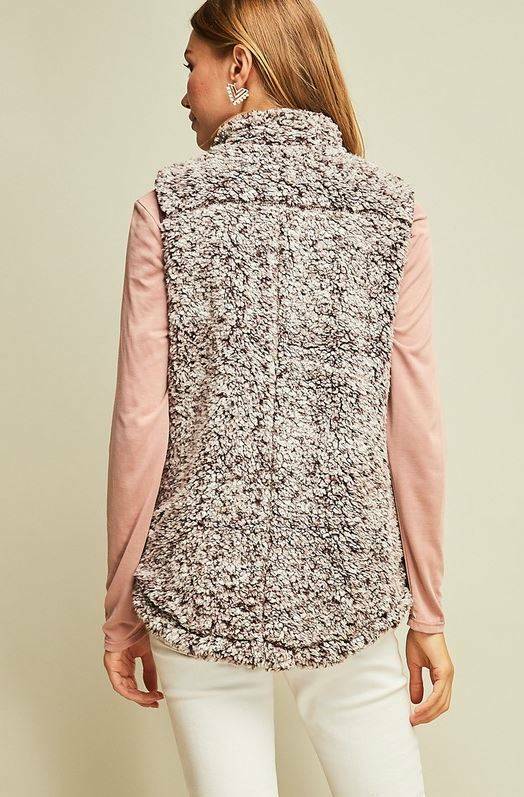 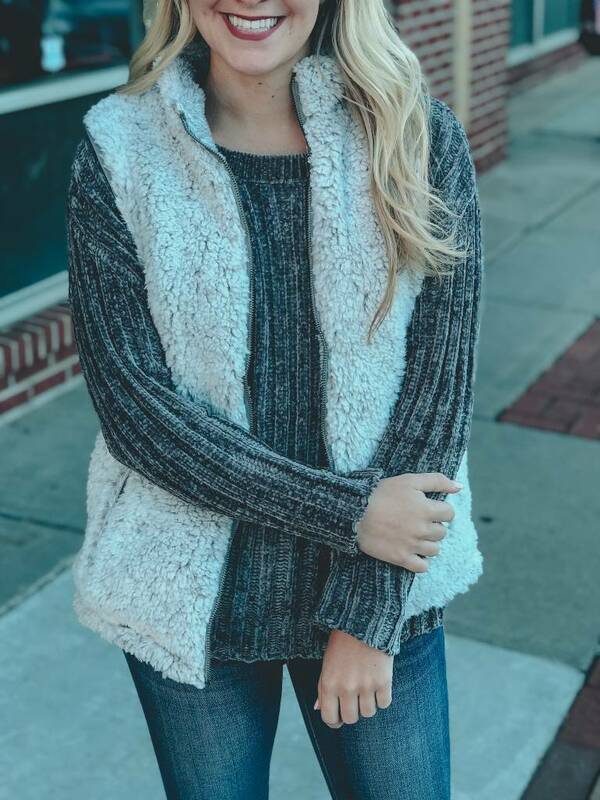 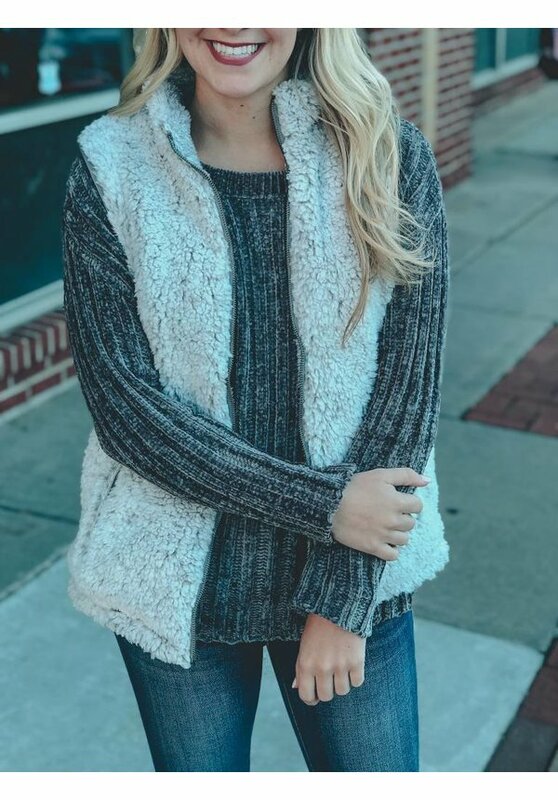 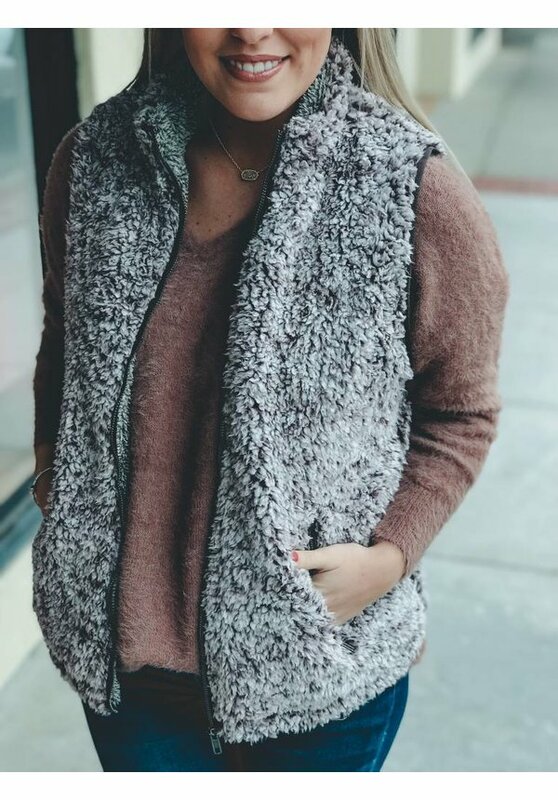 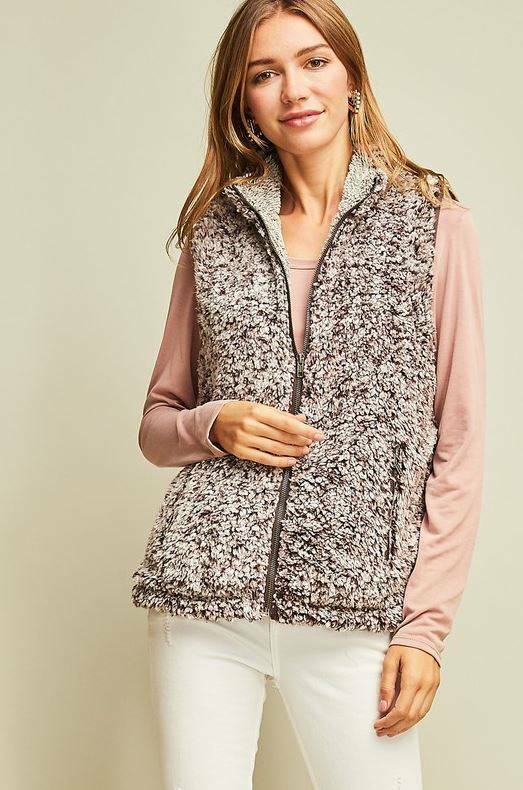 This faux fur Sherpa vest is going to be your go-to layering piece this Fall! We just know it! 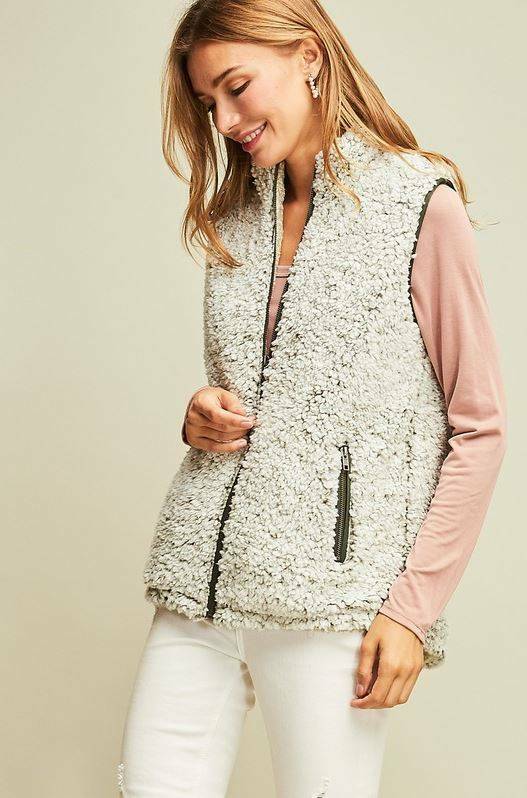 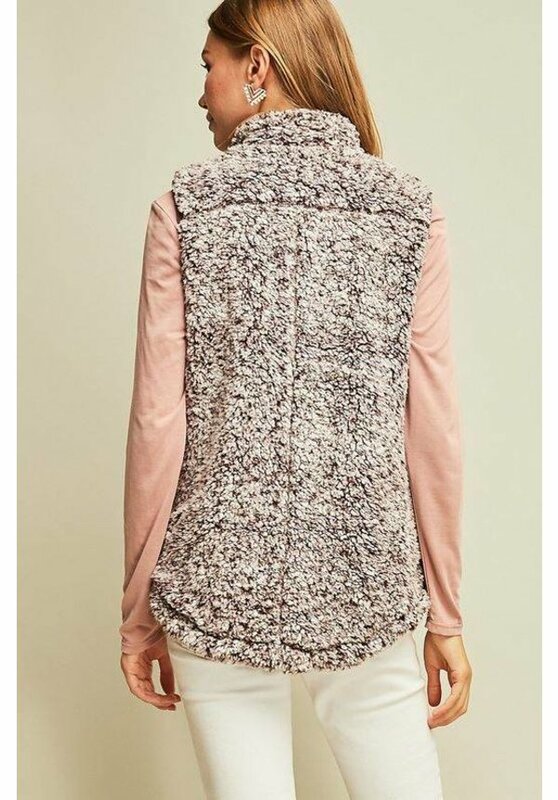 Vest features a zip front and zip pockets - faux fur exterior and faux fur lined interior. 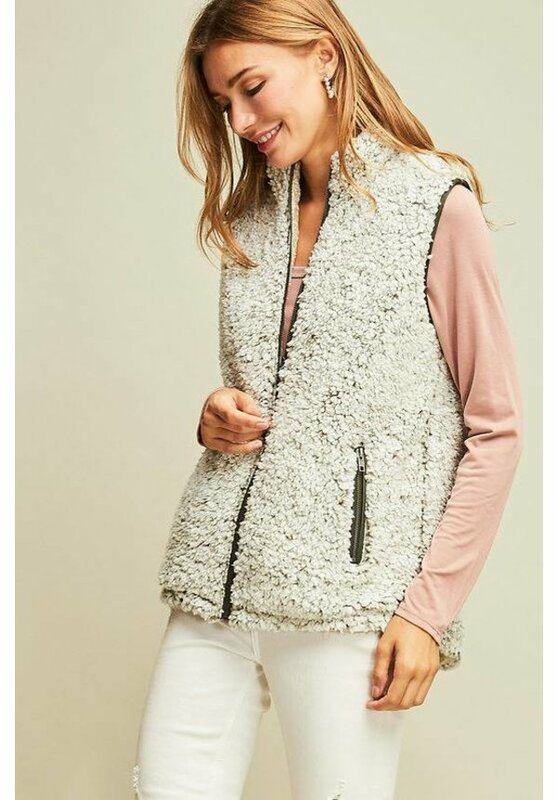 This item fits true to size! 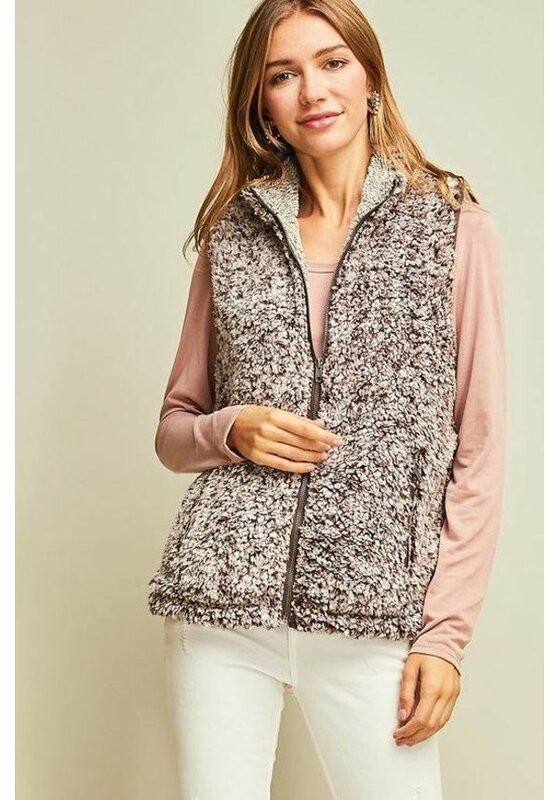 Make a choice: "Color: Brown","Size: S" "Color: Brown","Size: M" "Color: Brown","Size: L" "Color: Grey","Size: S" "Color: Grey","Size: M" "Color: Grey","Size: L"